All of this is reminiscent of what journalist David Samuels described in 2015 as an echo chamber of prominent arms-control experts, sympathetic journalists and Obama administration staffers deployed to sell the nuclear bargain to the public and Congress. 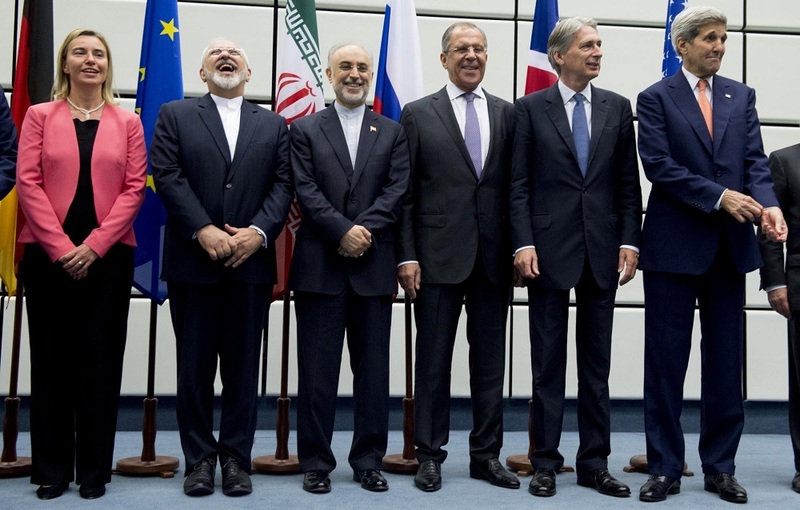 Their party line is that the deal is the best possible way to limit Iran’s nuclear rise. Nonetheless, many of these experts and former officials are also beginning to acknowledge that the nuclear deal they sold in 2015 is flawed. Next month, the Brookings Institution will host an off-the-record meeting of policy experts — some who favored the deal, some who oppose it — to discuss how to address the nuclear agreement’s flaws. Iran has continued to test ballistic missiles and has warned it won’t allow inspections of military sites — highlighting ambiguities in the agreement. Einhorn’s quiet effort coincides with a new Trump administration strategy that looks to use the president’s de-certification of Iranian compliance with the deal as leverage to negotiate additional restrictions that address the sunset provisions. So far, the echo chamber has opposed this strategy. The fear is that Trump’s de-certification, which would not automatically reinstate the crippling sanctions that were lifted as a condition of the deal, would potentially unravel the nuclear agreement and leave the international community with even less transparency about Iran’s nuclear program. Congress would have 60 days to debate whether to reimpose those sanctions. Colin Kahl, who served as Vice President Joe Biden’s national security adviser in Obama’s second term, told me in an email this week that it was worthwhile to begin looking at the flaws of the agreement, but he opposed any strategy in which Trump would de-certify Iran’s compliance. “There is no need to force a crisis over it at this very moment — as Trump and some deal opponents seem inclined to do — given that elements of the JCPOA don’t begin to sunset until 2026-2031,” he wrote. “And, as we engage in this conversation about possible arrangements to supplement the JCPOA, we should do so in a way that protects and stabilizes the current deal rather than threatening steps that would blow it up.” He added that any negotiations to further restrict Iran ought to include “possible positive inducements” for Iran.